How do we describe ourselves? Growing. Thriving. Leading the way in healthcare excellence. That's the promise of Aiken Regional Medical Centers (ARMC). The hospital is owned and operated by a subsidiary of Universal Health Services, Inc. (UHS), a King of Prussia, Pa.-based company that is one of the leading healthcare management companies in the nation. Meet our nursing management team and members of our HR department, participate in on-site interviews and learn about our friendly work culture! The Open House will be held from 3 to 5 p.m. on the fourth Tuesday of each month in the front lobby of the hospital. No matter how you say it, our service excellence sets us apart. At ARMC, nothing is more important than service excellence. This focus is not just lip service - it's our unique culture and our goal each and every day which makes working here that much more rewarding. From the time you attend your first hospital orientation, you will learn what makes us different. 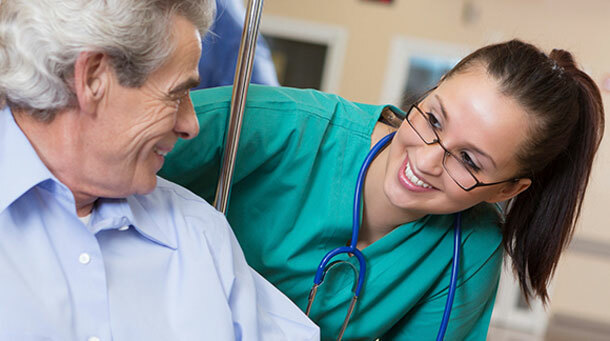 You will learn how to interact with our customers and learn about your role in helping ARMC achieve the best possible outcomes for our patients. You're a vital member of our team, and we value your contributions greatly. You'll be very proud to work here. In fact, we're also very proud of what we have achieved so far including receiving the highly prestigious Universal Health Services Corporate Service Excellence Award, which each year recognizes the hospital that best demonstrates commitment to and improvement in service excellence. We exceed the national average for quality indicators that measure many areas of hospital performance. We rank among the top 10 percent of US hospitals for treatment of heart attack, heart failure and pneumonia. We were chosen as a mentor hospital by the Institute for Healthcare Improvement. ARMC is one of more than 3,000 hospitals nationwide that voluntarily joined the Institute for Healthcare Improvement's 100K Lives Campaign and 5 Million Lives Campaign to save lives in US hospitals by instituting better practices and improving quality. We were early participants in the Hospital Quality Alliance Measures initiative, which provides best practice guidelines for treating selected diagnoses to ensure a consistent level of care.